Edgar Lerma, MD, earned his Doctor of Medicine from the University of Santo Tomas Faculty of Medicine and Surgery in Manila, Philippines. He completed Residency Training in Internal Medicine at UIC/Mercy Hospital and Medical Center, where he also served as Chief Resident. He completed a Fellowship in Nephrology and Hypertension at Northwestern Memorial Hospital, the Feinberg School of Medicine at Northwestern University, and the Veterans Administration Lakeside Medical Center in Chicago, Illinois. 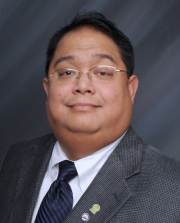 Dr. Lerma is a Diplomate in the Subspecialty of Nephrology with the American Board of Internal Medicine. 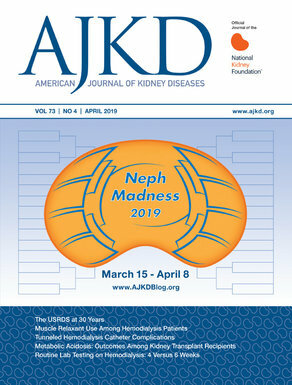 He has authored more than 100 peer-reviewed publications and presentations; notable publications include Current Diagnosis & Treatment: Nephrology & Hypertension, Nephrology Secrets, and Henrich’s Principles and Practice of Dialysis. He has peer reviewed and served on editorial boards for numerous journals, and currently is Associate Editor for International Urology and Nephrology, Clinical Reviews in Bone and Mineral Metabolism, and Journal of Clinical Lipidology. At present, he holds the rank of Clinical Professor of Medicine with the Section of Nephrology at University of Illinois at Chicago. He serves as the Educational Coordinator for Nephrology with UIC/Advocate Christ Medical Center. In recognition of his clinical work and expertise, Dr. Lerma has been elected to Fellowship of the American College of Physicians, Fellowship of the American Society of Nephrology, Fellowship of the American Heart Association/ Council on Kidney in Cardiovascular Disease, Fellowship of the American Society of Hypertension, Fellowship of the National Lipid Association, Fellowship of the National Kidney Foundation, and Fellowship of the American Society of Diagnostic and Interventional Nephrology. He has also been recognized for teaching and has been the recipient of “Subspecialty Teaching Attending Physician of the Year” in 2006 and “Physician Recognition Award for Excellence in Academics” in 2011 from UIC/Advocate Christ Medical Center Internal Medicine Residency Training Program. Dr. Lerma’s research interests include CKD, hypertension, bone and mineral disorders, and dyslipidemias in CKD. Read Dr. Edgar Lerma’s posts.